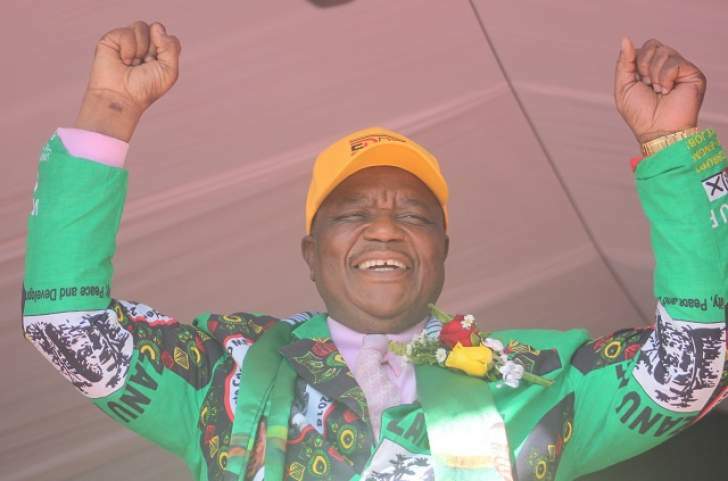 GOVERNMENT has resolved to take over the construction of Tsholotsho Stadium with Matabeleland North expected to be transformed into the country's prime tourism and energy hub, Vice President General (Rtd) Constantino Chiwenga has said. Speaking during a Zanu-PF rally at Tsholotsho Business Centre yesterday, VP Chiwenga said Matabeleland North is endowed with rich mineral resources and wildlife including the mighty Victoria Falls, making it an ideal centre for tourism and energy. "The Zanu-PF Government will implement devolution of power and responsibility once elected into power which will see each and every town and province benefiting from its own resources depending on the varying sectors of economy they specialise in. In Matabeleland North, the province is rich in minerals and tourism hence under the devolved system of governance it will be the country's centre for tourism and energy," he said. VP Chiwenga said under the devolved governance system, Ministers of State responsible for the administration of provinces will have an added responsibility to ensure that their respective provinces are economically viable. "Our top priority is to ensure that before resources are channelled to central Government, they should first benefit the local community and to this end we are also going to complete the construction of Tsholotsho Stadium," he said. The VP said Government will also speed up the construction of houses for Tsholotsho flood victims as well as fix the sewer and water reticulation system. He said major roads linking Tsholotsho with Lupane, Bulawayo and Plumtree will be rehabilitated. VP Chiwenga said there was also a need to give local residents first preference to train at the Tsholotsho Nursing School. "We want to set up more vocational training centres in Tsholotsho so that our youths acquire technical skills. We are also aware of the challenges faced by our people in terms of access to education and in light of that we are saying the Government is working on increasing funding under the Beam facility. Children whose parents cannot raise school fees should not be excluded from class," he said. VP Chiwenga said Matabeleland North is a drought prone province characterised by a low rainfall pattern hence the need to promote livestock farming. "In Matabeleland North we have a challenge of drought and floods and it is our obligation to provide our people with grain and rice. The President (Emmerson Mnangagwa) has already launched Command Livestock in Matabeleland South and very soon it will be rolled to this province. We are also revamping the Cold Storage Company (CSC) in Bulawayo, Masvingo and Chinhoyi so that our farmers have a ready market for their cattle," he said. He said the Gwayi-Shangani Dam will help address the critical water shortages affecting local communities as the pipeline to Bulawayo will provide water for irrigation and other domestic uses for communities along the pipeline. VP Chiwenga condemned the terror attack that occurred in Bulawayo at White City Stadium where 49 people were injured and two later died in hospital, saying the net was closing in on the suspects. He said elections would go ahead as planned and urged party supporters to pray for peace in the run up to the elections. He told the party supporters that he had been sent by President Mnangagwa to ask for their support by voting for Zanu-PF in the July 30 harmonised elections and vote for the Zanu-PF national Assembly, Senate and local authority candidates. "Our presidential candidate anointed by the Lord whom we will be voting for is Emmerson Mnangagwa and the National Assembly as well as local authority candidates are the ones you chose here in Tsholotsho. If we vote for our candidates we then know that those that are going to women's quota would have sailed through," said VP Chiwenga.